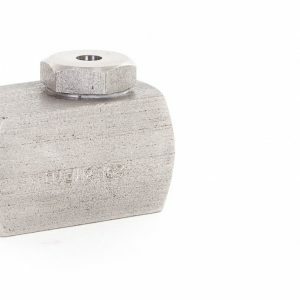 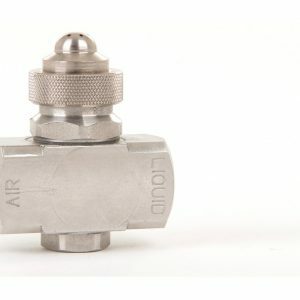 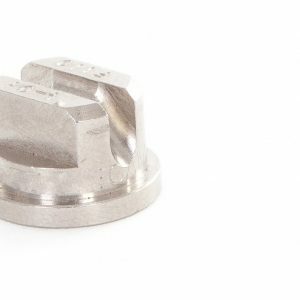 Compressed air and liquid mixes within the resonator cap external to the nozzle and creates a straight spray pattern of ultra-fine spray droplets nominally 10-12 micron. 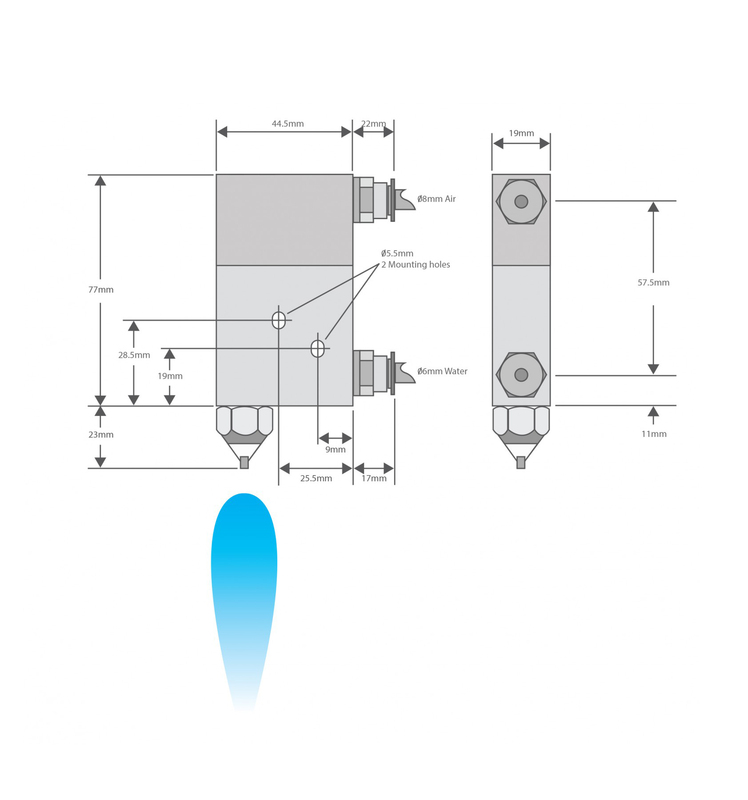 The nozzle assembly offers both non-drip and self-cleaning functions to this nozzle range. 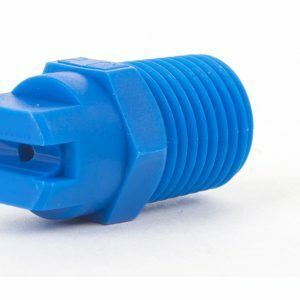 The nozzle has a separate air and liquid connection being 1/8″ female.